The Arc By Crown is a $250m residential mixed-use development on Clarence Street that has set sail with the curved fins complete on the striking buildings. 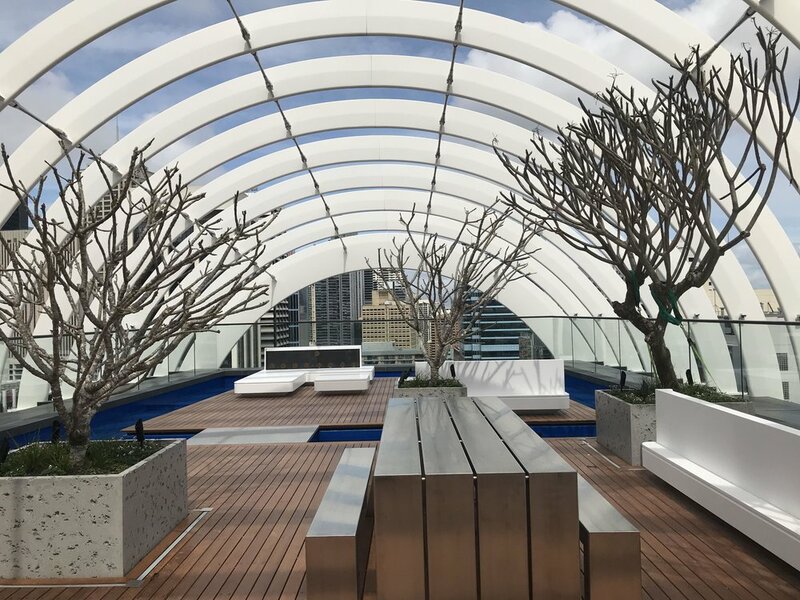 The development is now fully operational with the rooftop garden and Horizon Lounge providing a new perspective on the Sydney skyline. This iconic tower located in the Sydney CBD comprises of a 25-storey tower including a mix of 173 one, two and three-bedroom apartments, 42 serviced apartments and two levels of specialty retail. This is a building with state-of-the-art building services and amenities second to none in the residential market. Koichi Takada Architects (KTA) designed this impressive structure alongside developer Crown Group. BSE designed the electrical, mechanical and fire services engineering respectfully with the existing heritage façade on the lower levels requiring an innovative design approach.